Oh dear, I don’t want to start off the post this way but let’s just get the elephant out of the room first. The first few minutes of this episode were just so hard to look at. When Tom showed up and started eating sushi – it was like there was absolutely no dimension to the scene at all. No shadows, just flat faces and movements with all the jaggity lines. If I thought last week was the lowest in animation budgets, clearly I was wrong. 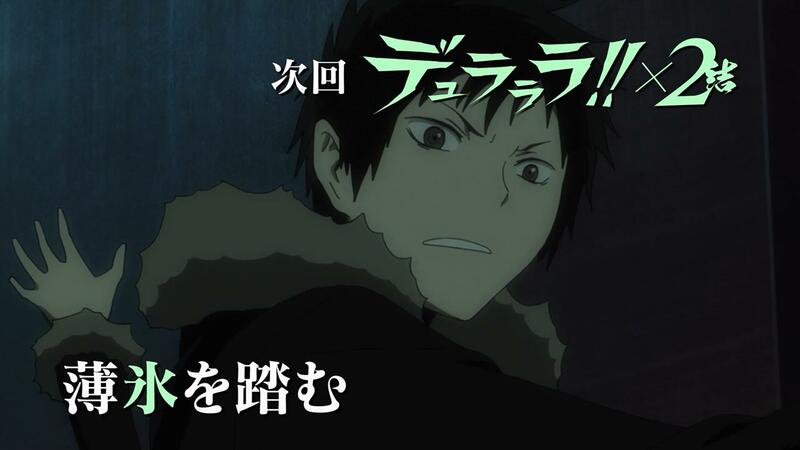 I hope that Durarara!! is saving up every penny for ts finale because these episodes leading up to it have been hard to watch. This isn’t a hit to the story itself, the presentation could’ve been so much better which would make it more engaging to watch. 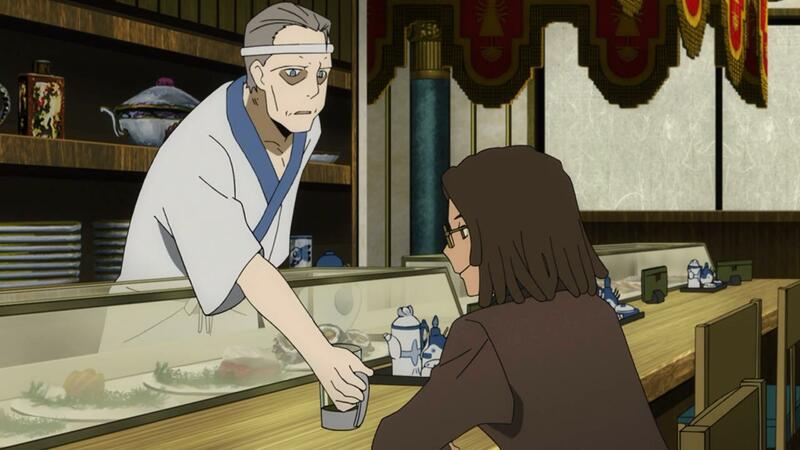 Speaking of Tom and the sushi shop, it’s been a while since we’ve last seen Haruna and Takashi. And they show up with Hiroto?! Where was he again? Oh ya, the last time we saw him, he met with an anonymous stranger who knew the person that hit Kyohei; whom now we know as Takashi himself. 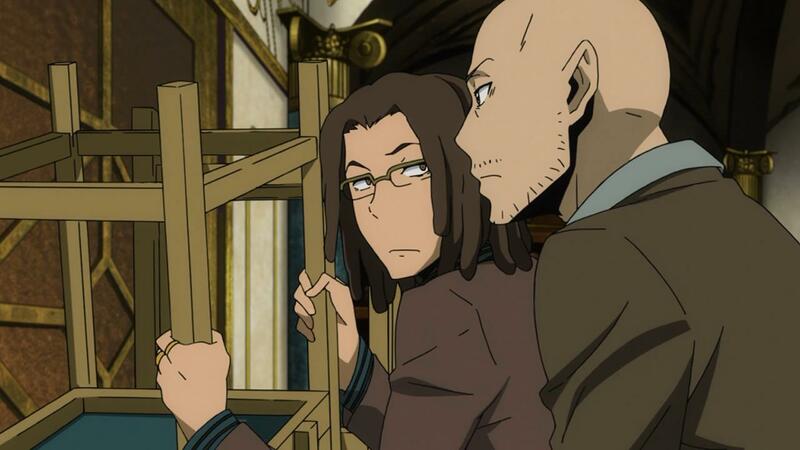 My question still remains though, what does Takashi want? 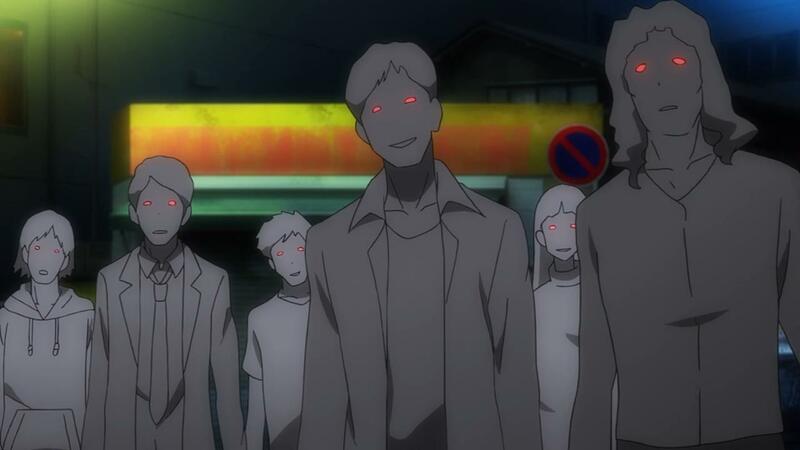 Did he order someone in his army to run Kyohei over to get rid of the leader of the Dollars? 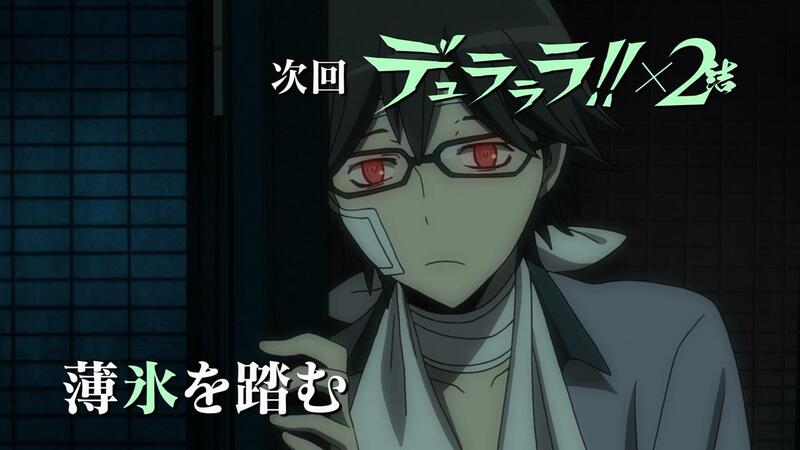 If that’s his motivation, then my guess is that his goal is to run Ikebukuro with his army altogether. He already has Haruna under his belt and Hiroto (whatever he does…) but will he be able to take down Simon? 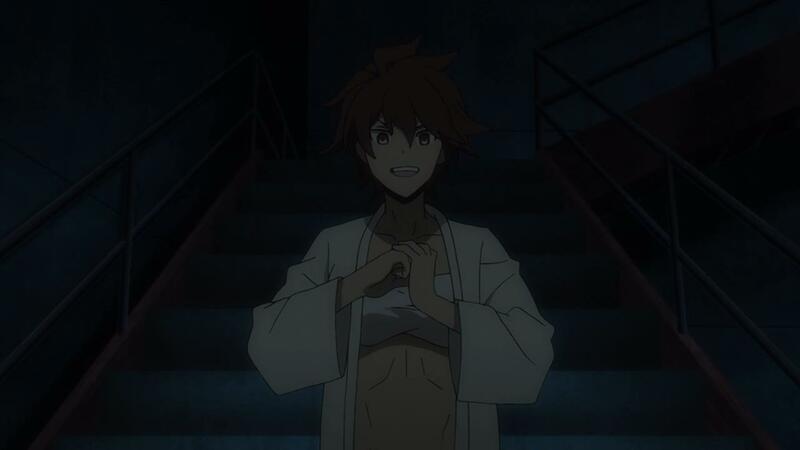 Don’t underestimate the fact that Airi is also making her way over to Celty’s house and will probably join the fight somehow (given that she’s the Queen and all). 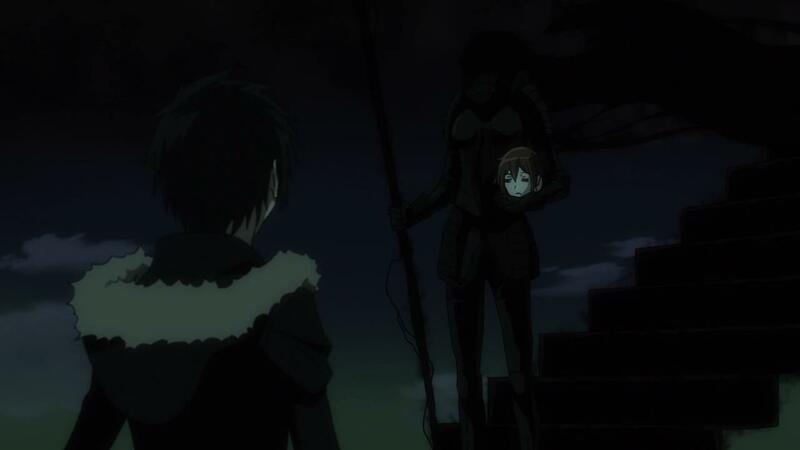 Just as Kasane predicted, Celty regained her head but at the sacrifice of her memories while she was headless. 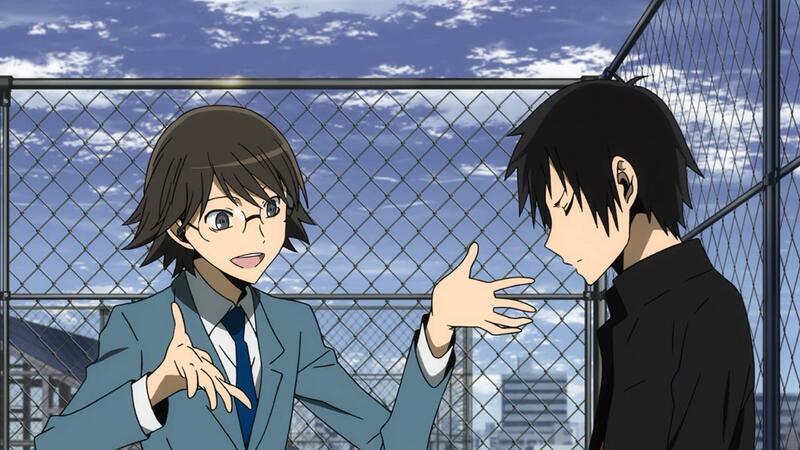 She doesn’t remember anyone she’s met in Ikebukuro so what does that mean for Shinra? 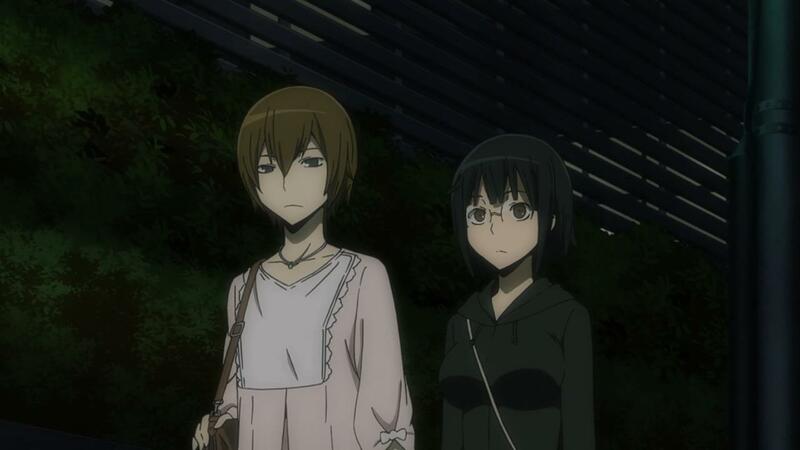 Will Celty eventually remember or will she just leave the city and go back to Europe? 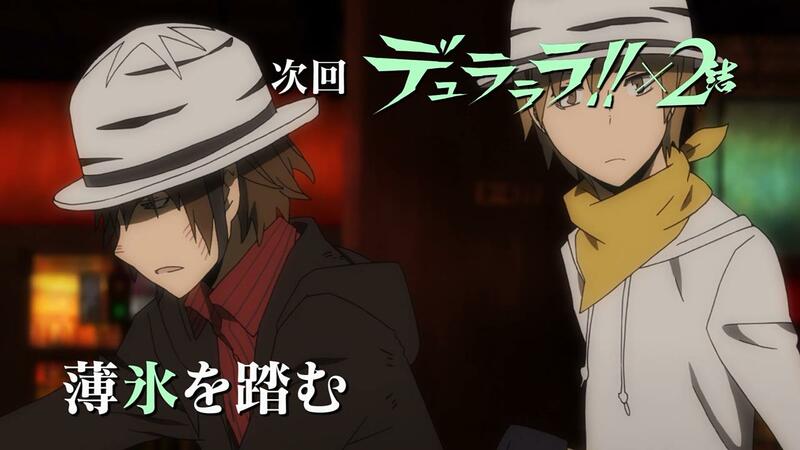 I always thought one of the climaxes of Durarara!! 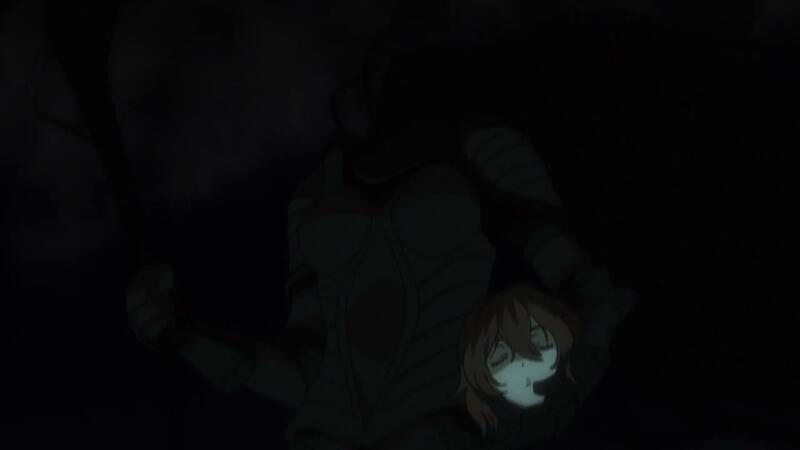 was going to be that moment that Celty finds her head. Now that it’s here… I’m not that satisfied with the way it was executed. 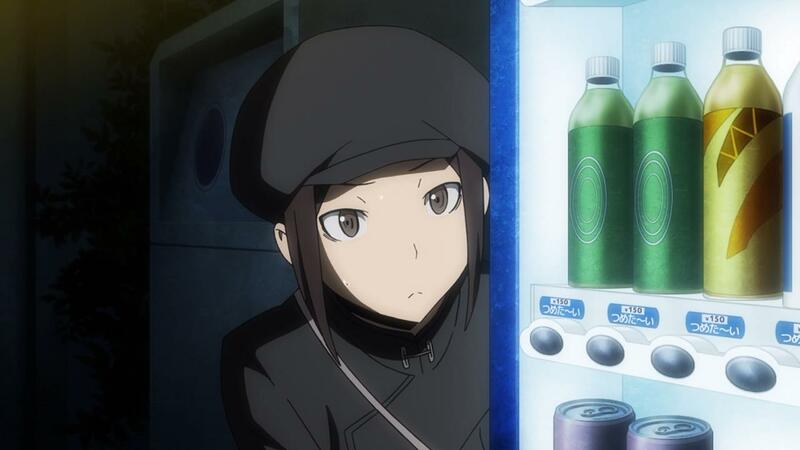 I am neither excited nor very content with the ending for Celty, given that she’s such a pivotal character. She doesn’t even have much of a personality anymore and for a headless, voiceless character, that’s saying a lot. 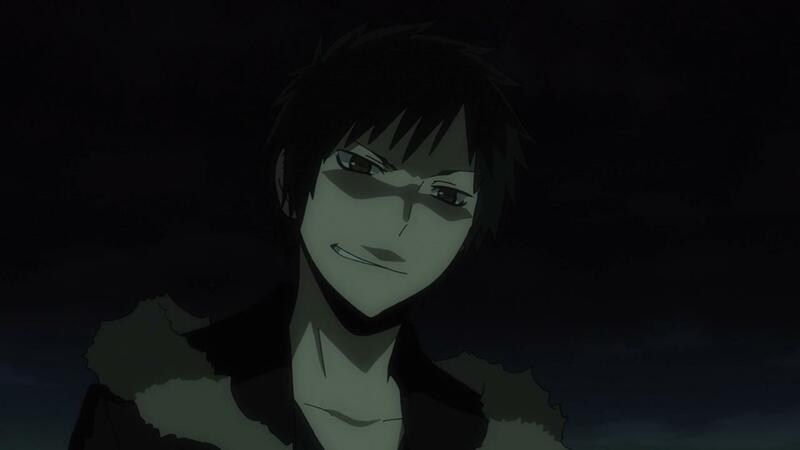 Shizuo makes his way slowly to confront Izaya but not very easily I might add. 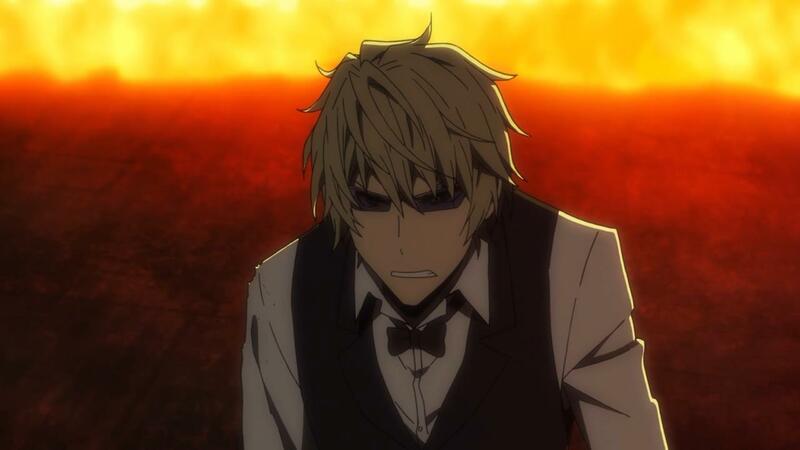 Every step Shizuo takes is like a deathtrap waiting to happen. 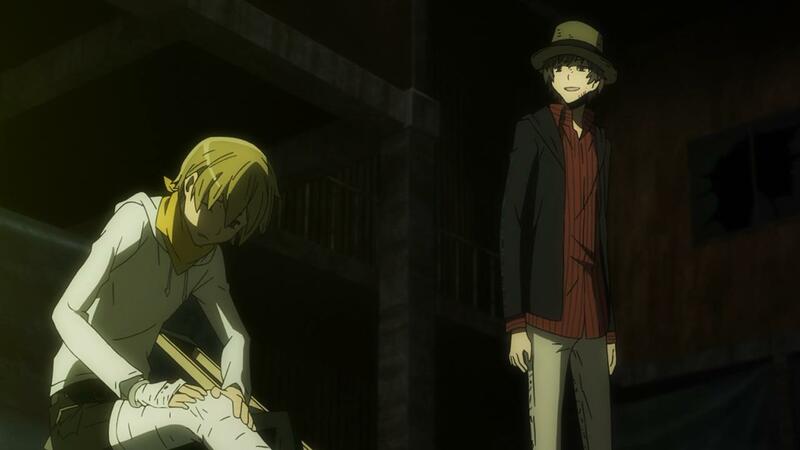 Luckily Shizuo isn’t a typical man and he’s not giving up while Izaya watches from afar. Not much else happened on this front while we wait for that confrontation… it was just fun to see them going at it again but on a much more malicious and serious tone. 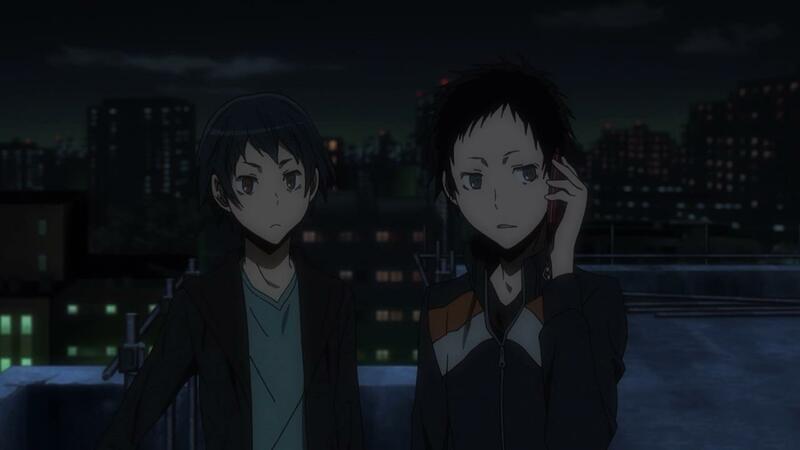 The last big development this week was Mikado calling Chikage back. 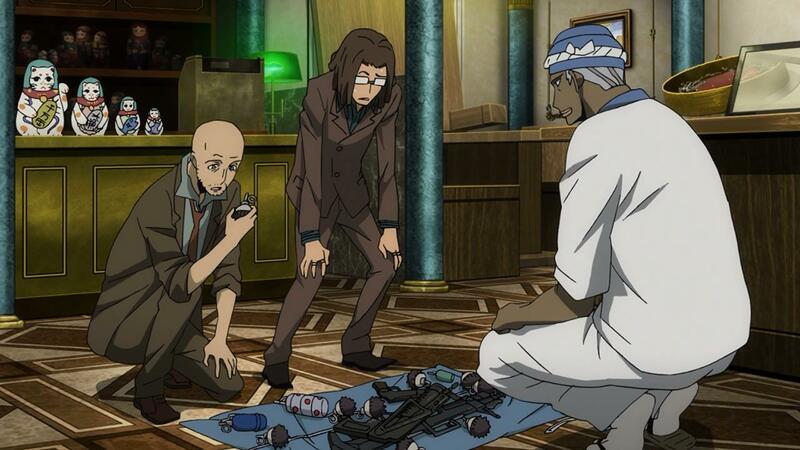 Chikage joins the Dollars chatroom and provokes Mikado to give him a call. That chatroom is simply the place to be now if any Dollars members wants to know what’s really going down in Ikebukuro. There aren’t many secrets in the city left after last week’s bomb. It’s going to be a little while longer before we see Masaomi and Mikado confront each other, but what do you expect when Masaomi has an injured leg? It won’t be a brawl… probably more of an angsty conversation. As it is with a lot of Durarara!! episodes, there’s has to be some buildup before the next bomb drops. This episode was full of buildups and reintroduction of characters we haven’t seen in a while. It wasn’t amazing by any means, but that means I have higher expectations for the next month. Especially in the animation department. It could use a lot more work there, but once they nail that down, I’m sure the finale can be epic. Bottom Line – @RCCherrie: A lot of returning characters – it was so unexpected! Celty! Kyohei! Haruna! And even Simon! 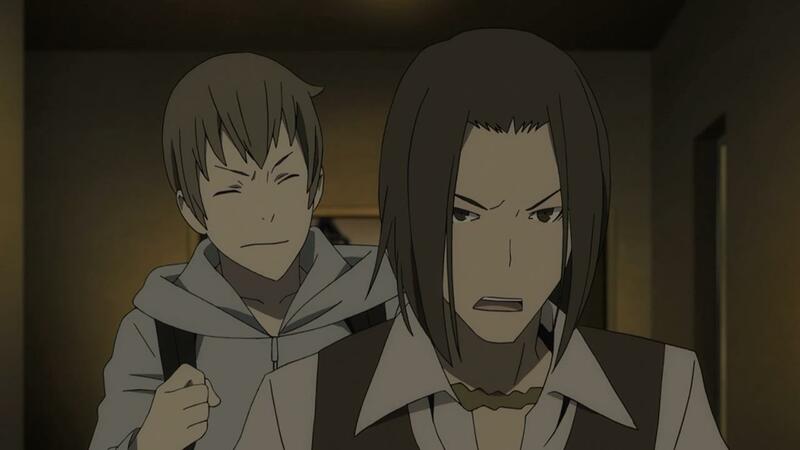 #drrr_anime. 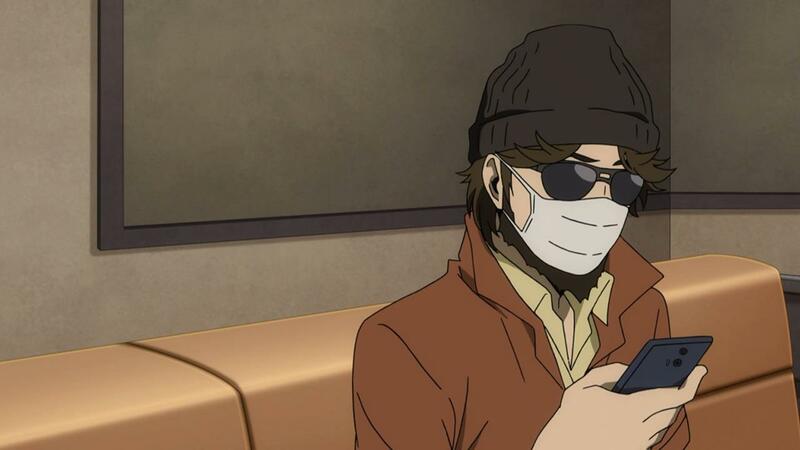 Highlight of the week had to be Celty’s return! 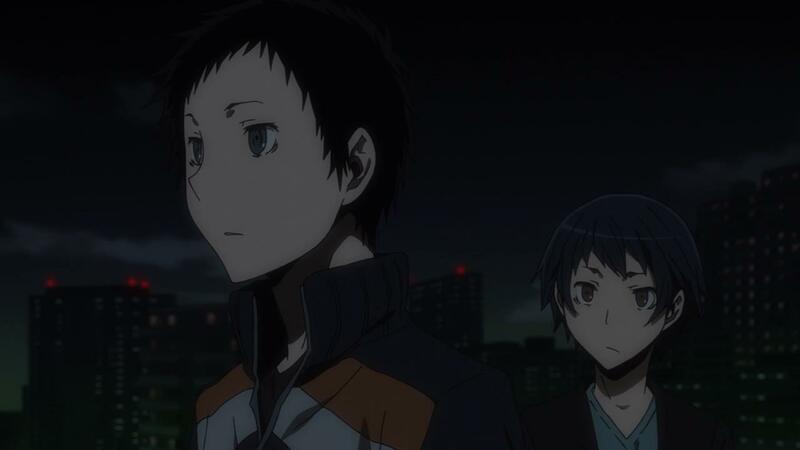 But the suspense is also building b/w Mikado and Chikage.Ugh, the animation really bothered me this week but I’m just hoping that it’s because they’re saving up for the finale. It may have just been you because to me that opening scene looked fine. In fact, this third set of episodes of the second season has had vastly improved animation than the first overall! Plus we’re finally winding down to the climax after eons of talking and talking. The only one I saw where the animation looked terrible was when Kyohei arrives at the apartment and sits on the couch. The shading looked simple and the outline for the characters looked rough and inconsistent. Otherwise, the animation looked ok afterwards. Oh god. Celty got her head back and it was glorious. Sort of. Anyways so basically it seems like the head is the master control unit so to speak, but can’t act on its own, but the body can. 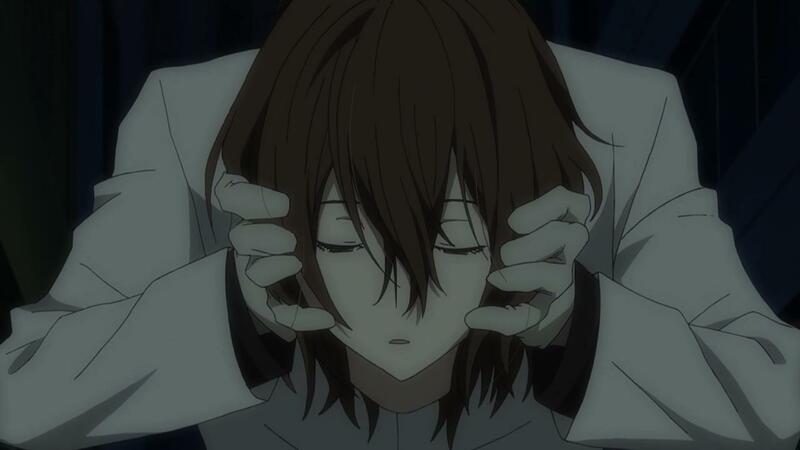 I have a feeling the head will get separated again and Celty’s body will go back to her “old” self again. It didn’t look like the head wanted anything to do with humans. 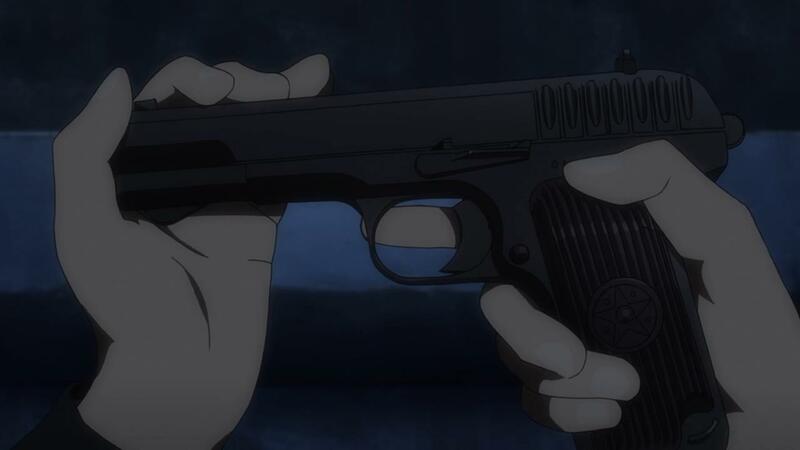 Don’t forget Mikado has a gun now and seemed to want to used it. Who knows what could happen at that meeting. 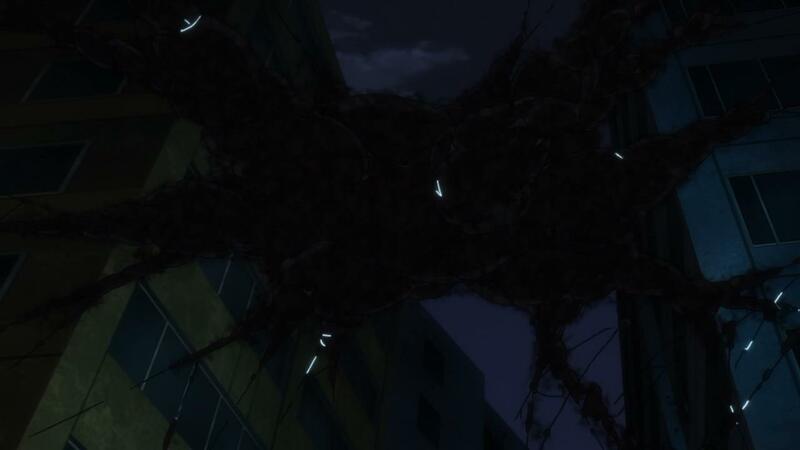 Well consider Saika is capable of severing the link between Celty’s head and body and there are so many Saikas. Her head gonna drop again soon, I’m sure. The question is which Saika wielder will be the one who cut her. 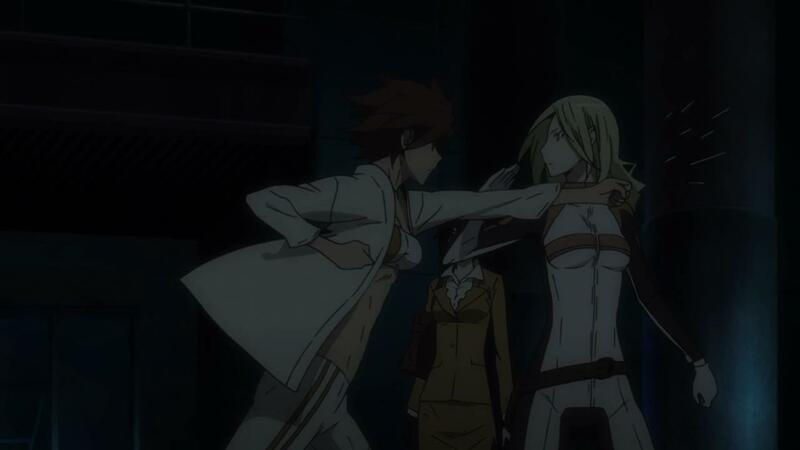 If I recall correctly Saika was used on her only after sneaking up to her lair and in a total surprise attack. One thing I got from the combined Celty is she is way more dangerous and powerful than before and she was the most powerful with out the head. And if she has the traditional power of killing anyone she wants by saying their true name she is truly powerful. She always knows the true name after all she is a instrument of death just like on Death Note except verbal not written. So I don’t she her being separated in fact I see her winning totally from here on, the drama is can someone or some event cause her to remember. Anyway combined Celty is glorious and what I have been waiting for. 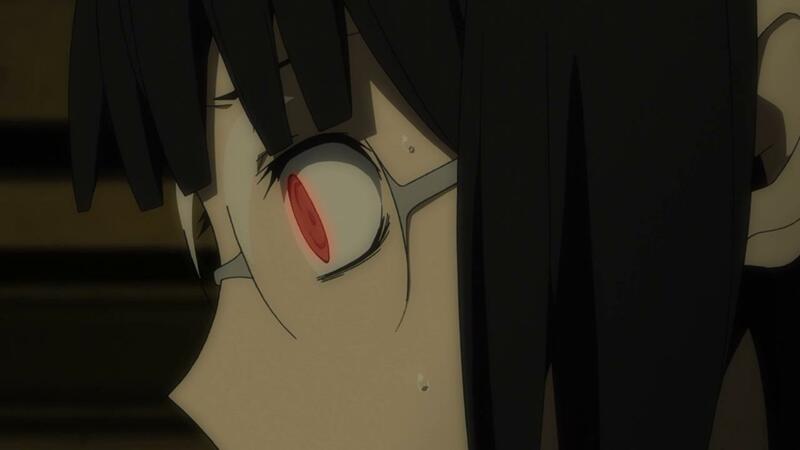 The rest are still heading for a clash, can Anri gain the will to end the rebellion. I love this twisted love show and will miss it when it ends. I think it’d be weird to see the head and body separated again though when… they’re technically one and the same “person” now. 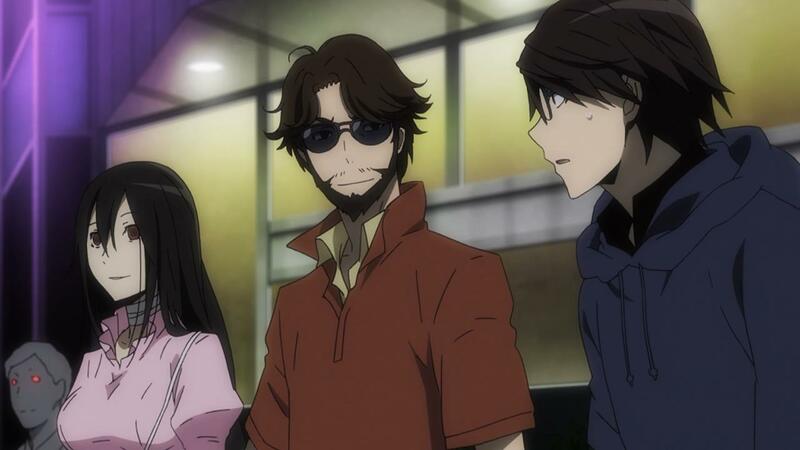 I would think that maybe their memories will start to converge at some point and Celty will “remember” then. Shingen stole more than Celty’s head. He stole this episode, too! 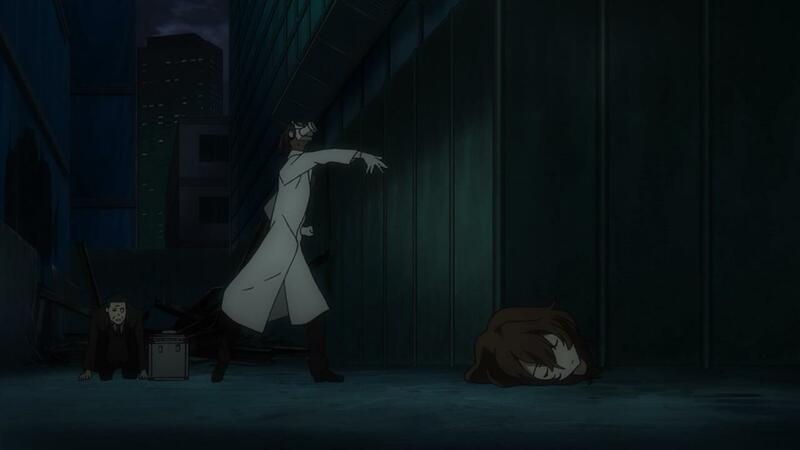 I guffawed when he tossed Celty’s head only for it to smack the ground. Oh Shingen, you crazy mad scientist you, don’t ever change! 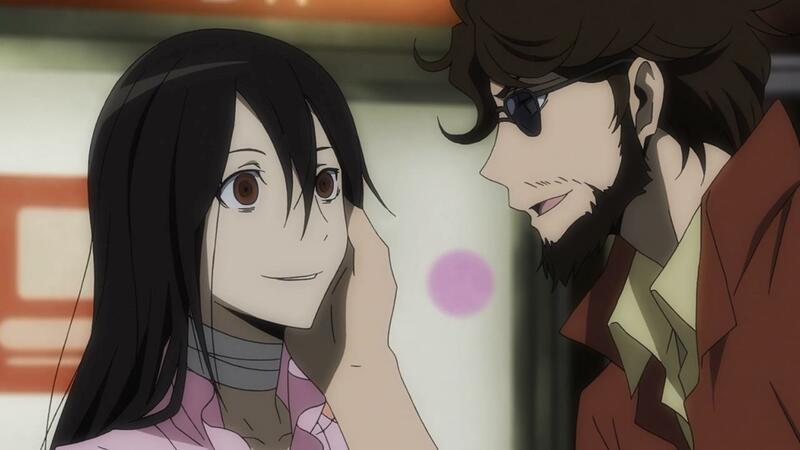 The rest of the episode was alright, although I did skip most of the Mikado-Masaomi segment. Honestly, those two blockheads…I feel like I should pity them that their predicament came about by miscommunication and misunderstanding of youth but, ugh, I just can’t muster any. I’ve had a hard time digesting the issue between the two of them too. If they’re as “good” friends as they said back in season 1, why can’t they just TALK it through? 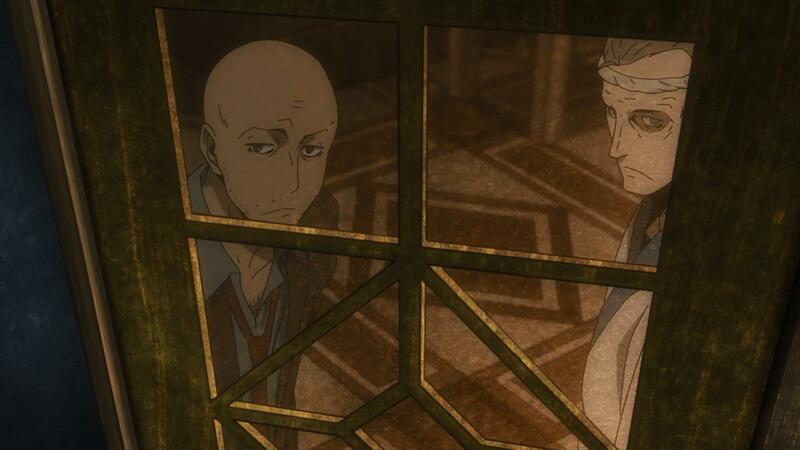 I think Masaomi is the more reasonable one out of the two because he had time to himself while he was away. 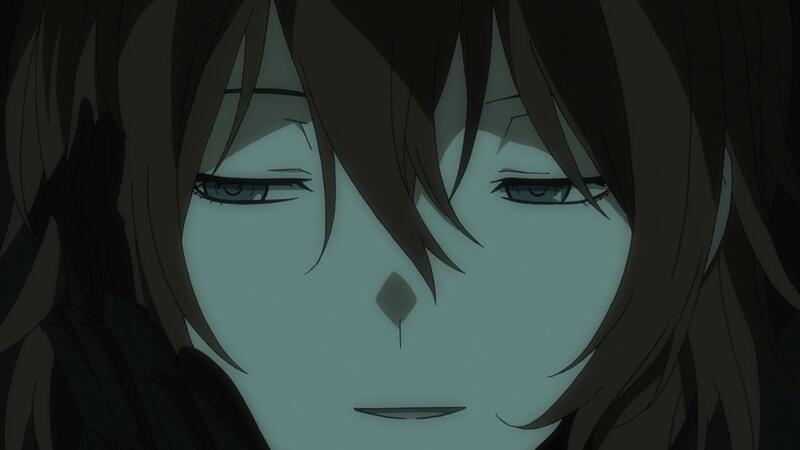 Mikado is just… I can’t read his mind and I don’t know why he avoids Masaomi and wants to “fix” everything himself without looking for help. In fact, a lot of issues could be easily resolved if they’d just talk to each other. Let’s be honest, the animation is generally always sub par, but oh well. Btw, I love how there can be so much happening, yet nothing is actually happening (if that even makes sense, lol). 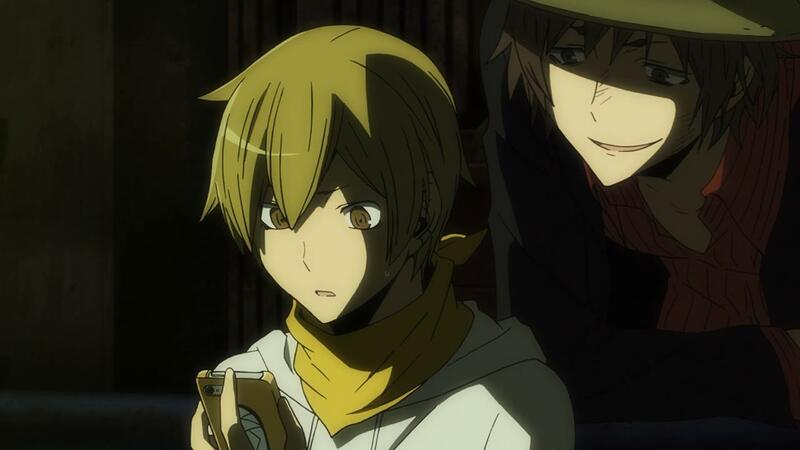 EX) Masaomi has been talking with Chikage in that hideout for like 3 episodes. 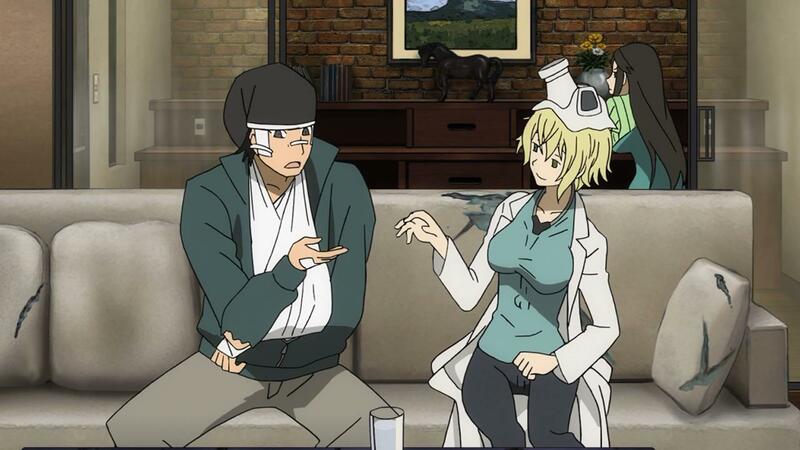 But the tension is ramping up, and I’m really curious to see how the Dullahan will interact with everyone in these final episodes and for the hopefully epic showdown between Izaya and Shizuo. But at least they are well prepared for any form of apocalypse with all those weapons. I was so excited to see celty get her head back I was waiting for that day to come.I so like seeing when they were in high school I freaking love this anime. 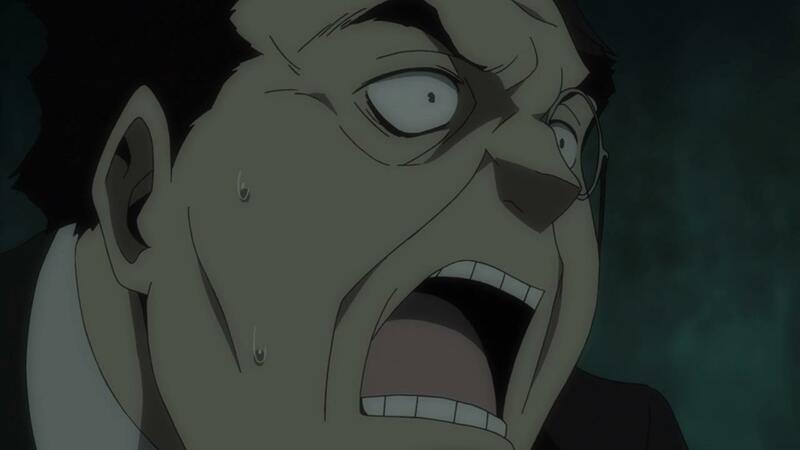 as someone who shockingly likes Nasujima, and has given depth to his character on my own accord (noncanonical, obviously, though I wish it was), I’m just going to input my two cents about what i think his motives are, since volume 12 of the novel was never properly translated to english by fantranslators and from what I could badly translate in japanese, there wasn’t much given in the novels for his motive either…. 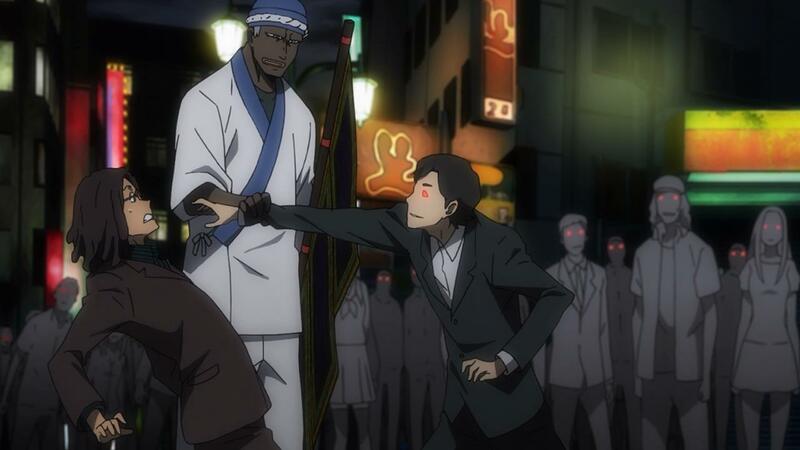 I think he in a sense has a vendetta going against Ikebukuro as a whole based on how poorly he was treated in story previously- he was apparently fired from Raira after being incapacitated by Shizuo in season 1 (episode 17, if anyone doesn’t remember), left comatose for a month or two- that might make sense of why he has resentment towards Shizuo. 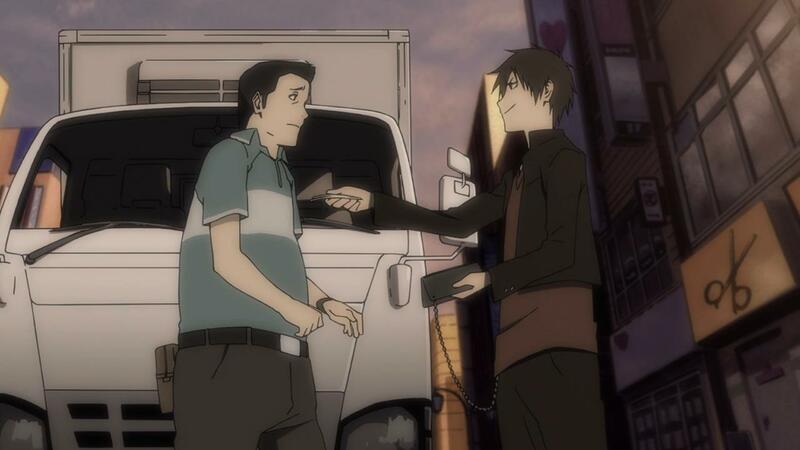 Among other things, he was also massively indebuted to the Yakuza of all organizations, and a recipient of visits by Shizuo and Tom’s debt collecting services, which could be another driving factor. Though technically most of the harm Nasujima has caused himself is self inflicted, derived from his mismanaging of money, in addition to his obvious sexual deviancy, he is likely too narcissistic and prideful to willingly admit to himself, let alone take the fall, for those events. In the novel, he was described as being highly self serving & self loving, which could very well translate to narcissism, which in turn could translate to some other kind of mental issue. 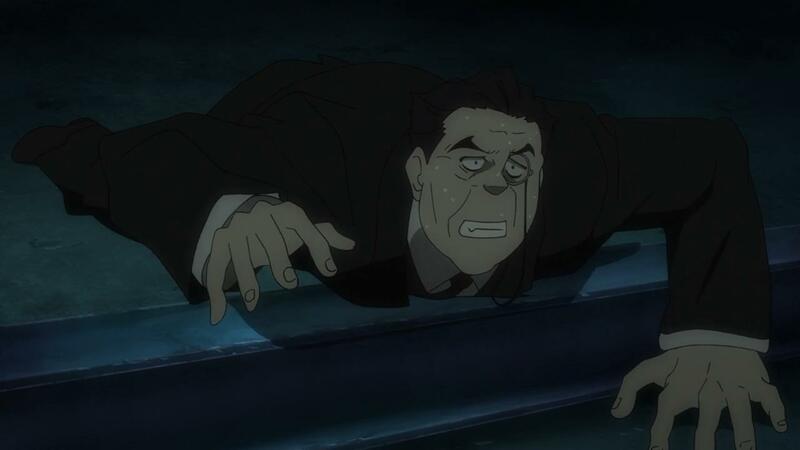 though, seriously, who wouldn’t expect him to be crazed in a cast already consisting of so many kooks? 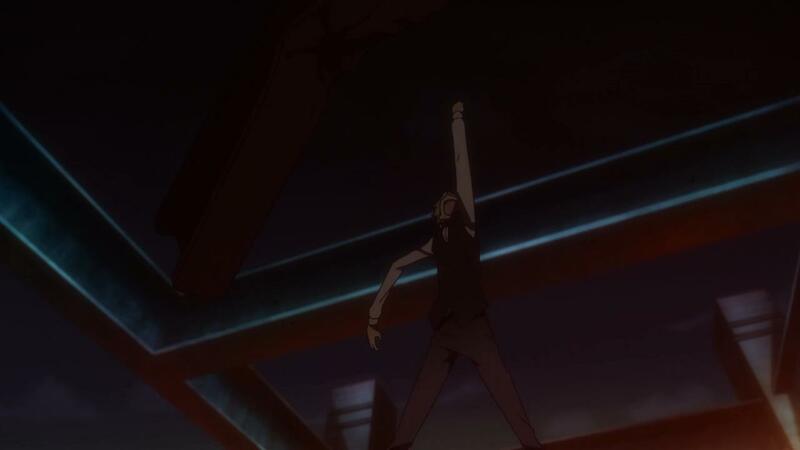 My other suspicion (this has to do with the car “accident”) is that he’s bent on derailing the Dollars, since they are an incredibly large organization that somehow drives Ikebukuro: hence his hit and run with Kadota. 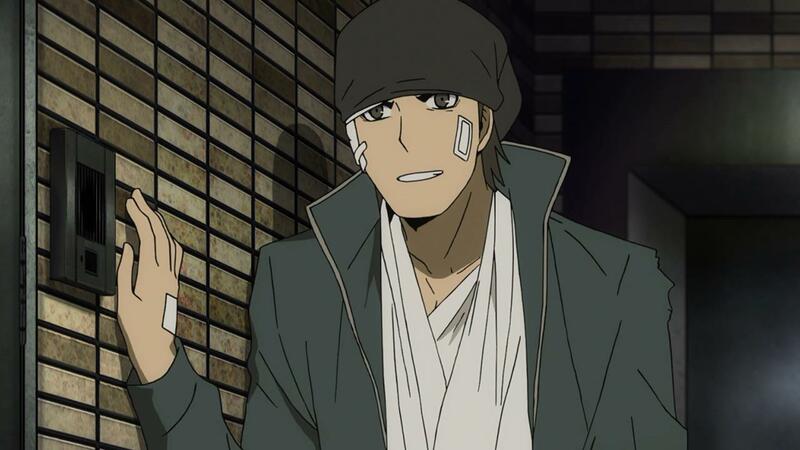 Kadota is essentially considered in story to be the ‘ideal’ Dollars member, which is why Nasujima selected him as his target, in attempt to spiral the city further into discord. Now, his motives are a bit unclear in their entirety, what he wants exactly; it could be a combination of vindictive elements as well as ones relating to power, taking it, reclaiming it, the feeling that after all he feels has been ‘wronged’, he simply wants to cause great destruction, watch his enemies suffer, so on.